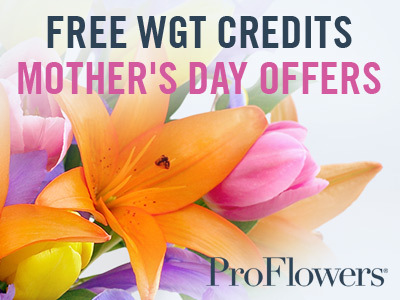 Get free WGT Credits for yourself, while you save with special offers on Mother's Day gifts on WGT. Save money on flowers and gifts from ProFlowers, Shari's Berries and more, when you buy through WGT. For example, get 1,200 credits when you buy from ProFlowers with up to 50% savings on flowers. 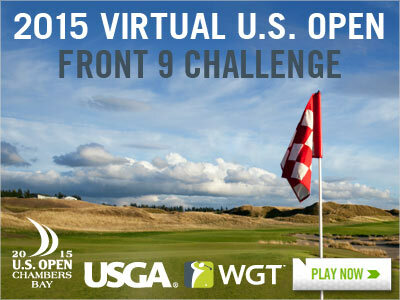 Today is the last day to post a score in the Virtual U.S. Open Front 9 Challenge tournament on Chambers Bay. Don't miss your chance to win a $500 USGAshop.com gift card to use on U.S. Open merchandise and memorabilia. Two players, one with the top leaderboard score and one lucky sweepstakes winner, will each win a gift card. See rules for details and eligibility. On Tuesday, the top two Tour Legends from the Jan-Mar Virtual Tour Quarterly Championship standings competed in a heated match play game for a bonus WGT Credit prize on Kiawah. Note, to see the match from poldimaier's point of view select his replay, and vice versa to watch from fmagnets', but both videos include both player shots. After last month's Kiawah Championship tournament in the WGT Virtual Tour, top Tour Legends poldimaier (Germany) and fmagnets (UK) ranked #1 and #2 in the quarterly standings, earning spots in the first quarterly championship match of the year. SPOILER ALERT below, so avoid scrolling if you don't want to see who won just yet! See past Twitch matches here and learn more about streaming WGT on Twitch, and how to stream your own WGT games on our FAQ. ...Congrats to fmagnets on becoming the first WGT Virtual Tour Champion of the 2015 season! Tune in to our Twitch.tv page TODAY, 4/21 at 1:00 PM PDT to watch the top two Tour Legends in the Jan-Mar Virtual Tour Quarterly Championship standings compete for a bonus 10,000 WGT Credit prize. 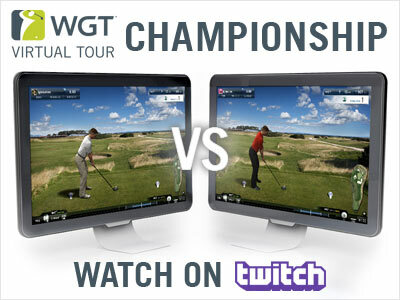 Tune in to our Twitch.tv page tomorrow, 4/21 at 1:00 PM PT to watch the top two Tour Legends in the Jan-Mar Virtual Tour Quarterly Championship standings compete for a bonus 10,000 WGT Credit prize. After last month's Kiawah Championship tournament in the WGT Virtual Tour, Tour Legends poldimaier (Germany) and fmagnets (UK) ranked #1 and #2 in the quarterly standings, earning spots in the first quarterly championship match of the year. 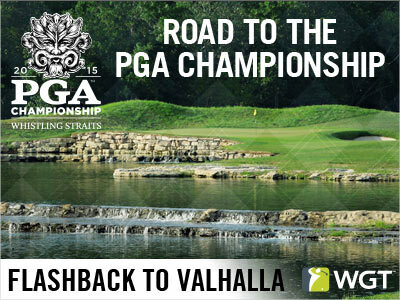 We're kicking off a new tournament series, the Road to the PGA Championship, starting with the Flashback to Valhalla tournament going on now. Play this 9-shot closest-to-the-hole tournament on Valhalla, and the top 70 scores in each tier will split a 200,000 WGT Credit purse. Plus one lucky sweepstakes winner will win a $100 gift card for the PGA Shop at shop.pga.com. 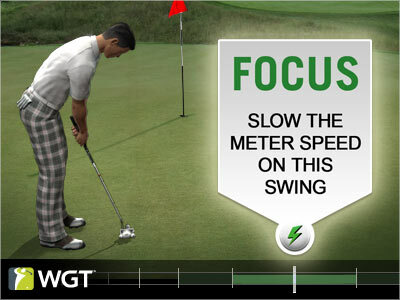 Slow down your WGT Swing Meter with the new Focus Boost, for those big shots you really need to make. Sometimes you really need to focus, so look for the new lightning bolt option above the swing meter to buy Focus Boosts in-game. *New Focus Boosts currently available in practice games only. 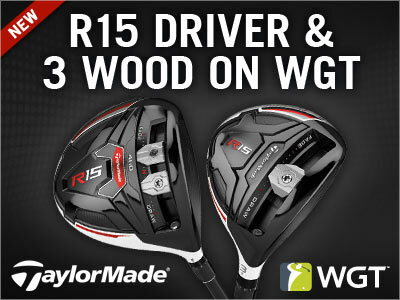 Get the newest virtual clubs from TaylorMade on WGT, the R15 driver and 3 wood. The new R15 virtual driver gives you higher launch and lower spin off the tee, and WGT player BakerPaul909 calls it "A Bomber!" Unlocks at Level 40 and Level 90. Get the top performing R15 3 wood for more precision, forgiveness and a slower swing meter. It gets an all-caps "WOW" from WGT player MPhillips2003, unlocking at Level 41 and Level 84. 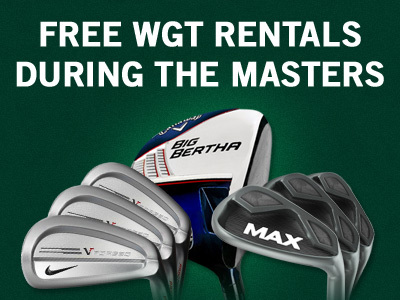 Get free virtual club rentals on WGT and WGT Golf Mobile this Saturday and Sunday during the Masters. While the pros compete at Augusta this weekend, log on to WGT and try the new TaylorMade R15s, Adams Tight Lies hybrids, Cleveland wedges, Nike Vapor irons or any others you've had your eye on -- all free! Find the club you want in the Pro Shop, click the RENT or TRY ME button and it's yours free for 24 hours. You can rent and re-rent as many clubs as you want for free, Sat-Sun 4/11-4/12. Play the new Apr-Jun Quarterly Season of the 2015 WGT Virtual Tour, starting with the Transamerica Challenge going on now. Compete on Bethpage Black and post your unlimited first round score by 4/25, then your single-play second round score 4/26-4/30. The top 70 combined scores in each tier will split the total purse of 200,000 WGT Credits that count toward the current quarterly season standings.